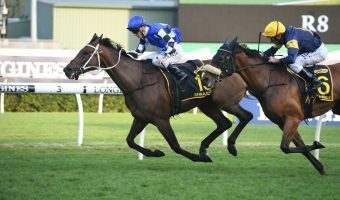 The Tim Martin-trained improver Heavens Above is early favourite to make it back-to-back Randwick wins in the Aspiration Quality 2016 on Guineas Day this weekend. The Chris Waller-trained All Cerise is one of the top fancied mares for the 2016 Aspiration Quality on Randwick Guineas Day this Saturday. Photo: Ultimate Racing Photos. A four-year-old daughter of Street Cry, she is one of 11 fillies and mares making up the field for Saturday’s $150,000 Group 3 City Ford Group Aspiration Quality (1600m) that is set to run as Randwick Race 4 at 2:10pm (AEDT). 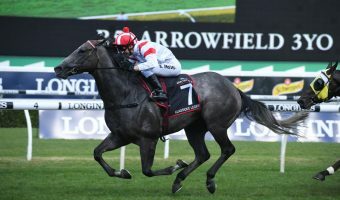 In the latest Aspiration Quality odds through Ladbrokes.com.au Heavens Above pays $4 for the win, backed in from $4.20, after her win over 1400m at the track on February 6 by two lengths. She overcame barrier 14 of 14 to salute in that Benchmark 85 and is tipped to handle the tougher company her in her first Group start since a failed effort when dead last (16th) behind Winx in the Group 1 Queensland Oaks (2200m) in the winter of last year. Occupying the second line of Aspiration Quality betting for Randwick Guineas Day 2016 at $5.50 is Algeria who jumps from barrier nine, one wider than Heavens Above in barrier eight. 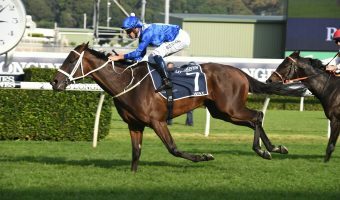 Sydney specialist James McDonald partners the John O’Shea-trained Algeria, a four-year-old daughter of Medaglia D’Oro who has had four starts at Randwick for a second and two thirds. 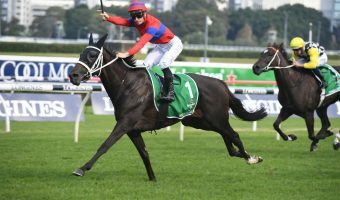 Her last start was three weeks back when runner-up beaten only a half-length by Testashadow over the Randwick mile on a 36 day break, her fitness to improve off of that where she looked one run short of her best form. 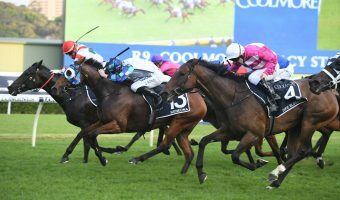 It is an open affair in the Aspiration Quality this Sydney Autumn Racing Carnival with a host of other fancies under $10 for the win including All Cerise and Adorabeel at $6.50 each. Chris Waller saddles-up the flying Redoute’s Choice five-year-old All Cerise who has won her past four starts on the trot dating back to December. All have been in non-black type company and the two most recent were over the mile at Flemington carrying 58kg. She gets in on that same top weight on Saturday, Hugh Bowman replacing Ben Melham in the saddle, as the mare returns to Sydney where she looks to continue the winning streak stepping up in class. The rails run belongs to Adorabeel who Brenton Avdulla rides from barrier one, Joe Pride’s six-year-old daughter of Savabeel last seen running a brave fifth just two and a half lengths off the winner Solicit in the Group 2 Guy Walter Stakes (1400m). That Randwick run was only last Saturday so she’s on the quick back-up and steps up to a mile, the distance to suit, as she looks to break a notable winning drought going back to March last year when she scored the narrow win in this same race. Also under double figures in the current markets are the nicely-drawn Skyline Blush ($7) in gate three and getting in on the 54kg minimum after her fifth to First Seal as a 41/1 outsider first-up in the Group 2 Millie Fox Stakes (1300m), Waller’s progressive Sharmadal four-year-old Sweet Fire ($9) drawn one on her inside in barrier two who is undefeated at the track and Fastnet Rock five-year-old Mary Lou ($9.50) out wider in gate 10. Check out the complete Aspiration Quality 2016 field, barriers, jockeys, weights and odds below before backing your favourite mares at the right price through Ladbrokes.com.au!